The HTML5 language lets developers deliver in-the-browser experiences that previously required standalone apps or additional software like Java, Adobe's (ADBE) Flash or Microsoft's (MSFT, Fortune 500) Silverlight. It supports lightning-fast video and geolocation services, offline tools and touch, among other bells and whistles. Google (GOOG, Fortune 500), a strong supporter of HTML5, produced a viral interactive video in 2010 with the help of rock band Arcade Fire that showed off the potential of the new Web features. 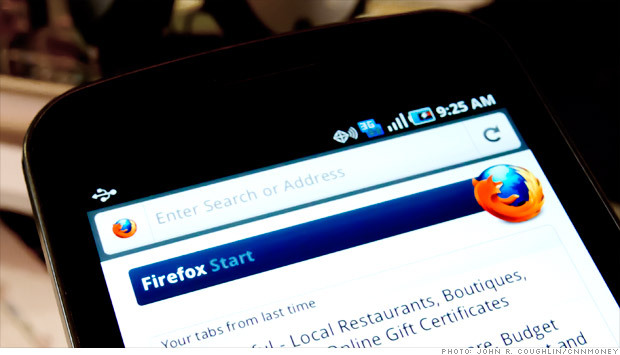 Firefox browser maker Mozilla made a splash in February when it created a smartphone operating system called "Boot to Gecko," which is almost entirely based in HTML 5. There's still more work to be done. W3C said that about 63% of Web and app developers are actively using HTML5 to make their sites and software, but "browser fragmentation" remains a big reason why many still aren't using it. Though most up-to-date browsers support at least some aspects of HTML5, older versions of some Web browsers like Microsoft's (MSFT, Fortune 500) Internet Explorer don't.